SAN JUAN, Puerto Rico (AP) — Federal lawmakers demanded Wednesday that Puerto Rico quickly privatize its bankrupt power company in a bid to end its turmoil and allow others to provide stable electricity in the aftermath of Hurricane Maria. Frustration grew as consultants and local and federal officials testified during a hearing on the management crisis at Puerto Rico’s Electric Power Authority held by the U.S. House Committee on Natural Resources in Washington. A few hundred Puerto Ricans remain without power more than 10 months after the hurricane destroyed up to 75 percent of transmission lines. Crews are still trying to repair and rebuild the grid in the middle of this year’s hurricane season as the company struggles with a high turnover, naming its fifth director since Maria. “We’re not talking about federalizing anything … or selling assets to the highest bidder,” he said. “The transformation is a complex process, and it would be unnecessary and inappropriate for Congress to give the Department of Energy control of PREPA, effectively robbing the island of a critical resource at a perilous time for Puerto Rico,” Rossello wrote. 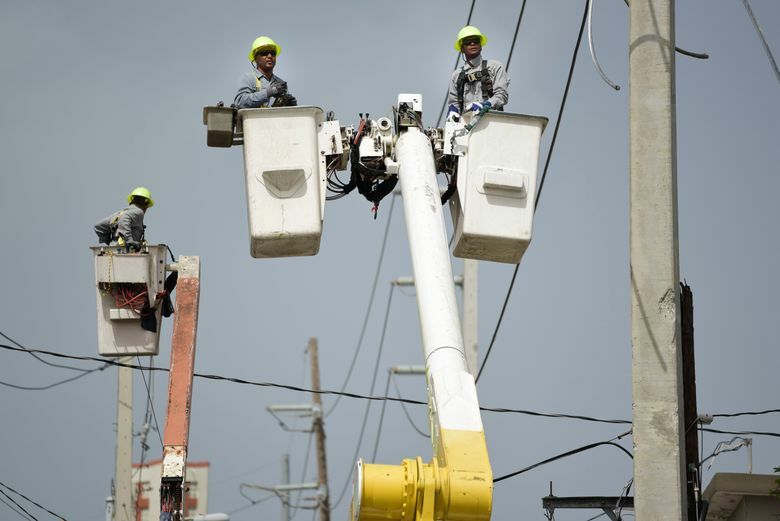 The Federal Emergency Management Agency has so far allocated $6 billion for Puerto Rico’s electrical grid, although not all of it has been spent, officials said.